Coffee drinkers around the world could be feeling the effects of climate change much sooner than anticipated, as the impacts of a warming planet are beginning to have noticeable impacts in coffee producing regions around the world. As the introductory stages of climate change kick in, extreme weather events such as droughts and hurricanes, and more resilient pests and diseases have all had an consequences on coffee, the second most commonly traded commodity in the world. 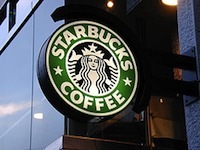 In particular, US based coffee giant Starbucks has taken note, and has partnered with other business groups to pressure the Obama administration to act on climate change. Unseasonal and extreme rainfall events have already threatened coffee growers around the world in a big way. Three of the fifteen biggest coffee producing countries, Costa Rica, India, and Ethiopia, have all seen declining crop yields over the past decade. Coffee production in India alone has dropped 30% between 2002 and 2011. Warmer global temperatures have also contributed to the widespread proliferation of the coffee berry borer, whose habitat has infiltrated places that had previously been too cold to inhabit, thus wrecking havoc on coffee crops around the world. In light of the recent coffee supply stress, some retailers such as Folgers, Maxwell House, and Yuban have had to increase their prices by as much as 25% between 2010 and 2011. However, as climate change progresses, coffee consumers could be seeing even higher prices in the future. How significantly do you think higher coffee prices will influence consumer demand? Would you drink as much coffee if you had to pay substantially more money per cup?